How safe is your water? Do you know for sure? LeadSmart water testing identifies lead and copper which can enter drinking water through plumbing without your knowledge. Exposure to lead and copper along the way may cause health problems ranging from stomach distress to brain damage. Lead is odorless, colorless, tasteless, and deadly. That’s why TDT provides LeadSmart same-day testing. The only way to truly know if your property’s water has EPA-compliant lead levels is professional water testing at the tap. The LeadSmart program from TDT Plumbing is a first-of-its-kind program, revolutionizing how homes and buildings test tap water for lead and make water safe to drink. LeadSmart water testing is for all types of properties: homes, schools, hospitals, office buildings, government buildings, etc. All these properties share one thing in common: aging plumbing that over time becomes susceptible to the effects of increasingly aggressive water. Over time, protective coatings are eaten away from plumbing therefore potentially exposing water to lead and copper. Once LeadSmart from TDT Plumbing resolves your plumbing systems elevated lead levels, you’ll receive a LeadSmart certification for your plumbing system. 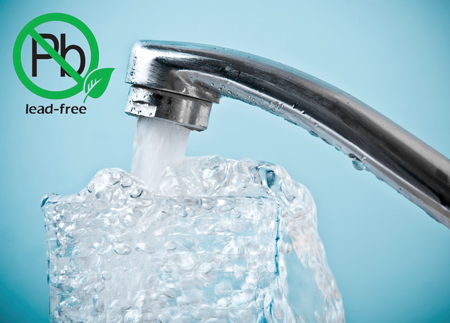 Why take a risk with your water supply when TDT Plumbing offers same day testing. Plus, for a limited time, when you choose an ePIPE restoration, we’re offering lead testing and LeadSmart certification for 50% off for homeowners and free for commercial properties. Call (713) 697-2088 to reach a trained TDT LeadSmart specialist. Or, complete this form. We’ll follow up promptly to schedule your LeadSmart Water Testing.